Saxophonist Pauli Lyytinen (b. 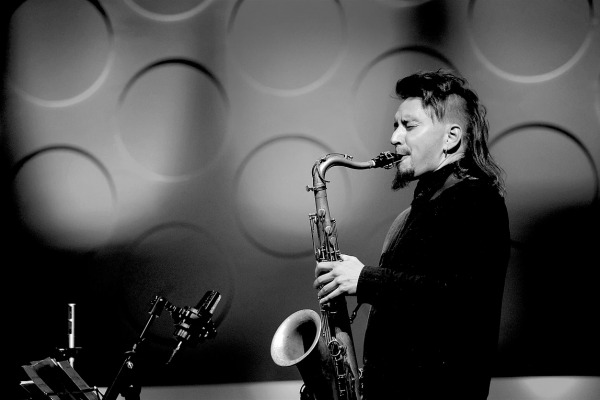 1983) has in the recent years become known as one of the members of Elifantree, the experimental pop-jazz trio, but the talented saxophonist has had time for many other projects as well. Besides Elifantree, Lyytinen has been busy with the Nordic jazzcollective DEFEKT, experimental Astro Can Caravan and the groundbreaking band Kauhukakara. Lyytinen has also been a familiar face in the liveband of the Itetune project of Jimi Tenor and Abdissa Assefa.